"These international mechanisms — tribunals — will only succeed when they receive political support and political backing." The United Nations tribunal convicted former Bosnian Serb general Ratko Mladic of genocide and crimes against humanity and sentenced him to life in prison for atrocities during Bosnia's 1992-1995 war. "He will die in prison and that's where he belongs," Refik Hodzic, former spokesperson for the tribunal, tells The Current's Anna Maria Tremonti. 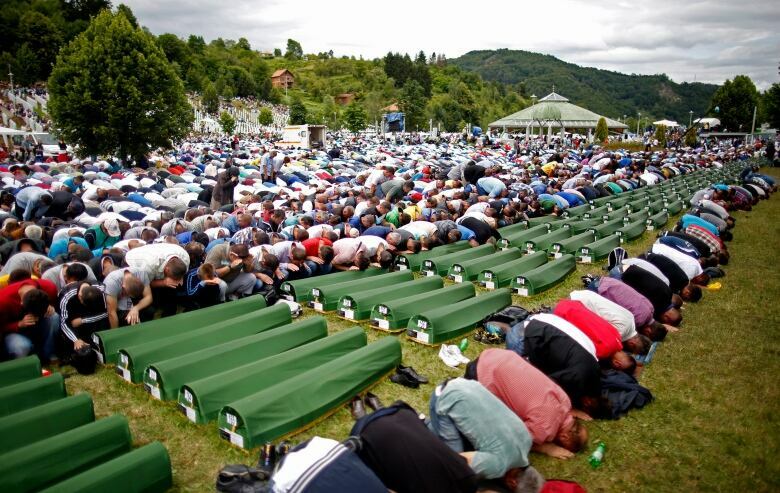 The International Criminal Tribunal for the former Yugoslavia (ICTY) found Mladic, 72, guilty of war crimes, including the 1995 massacre of more than 7,000 Muslim men and boys in Srebrenica — Europe's worst massacre since the Second World War. Hodzic, a consultant on transitional justice, tells Tremonti about family members he lost in Prijedor, Bosnia, "a site of some of the most notorious concentration camps." He says he hopes the court's ruling allows victims to have a sense of closure, but at the same time, he points to support that still exists for Mladic in Serbia and the Serb part of Bosnia-Herzegovina. "You see the reactions to the judgment. It is one of the glorification of Mladic as a legend, as a hero. And that is what worries me very much." "But I hope that it can mark the beginning of a new, new era in our lives," said Hodzic. Mladic, dubbed the "Butcher of Bosnia," was first indicted in 1995 by the ICTY for genocide and other war crimes, but his arrest didn't take place until 2011 when he was picked up by Serbian police. Many former Yugoslavians had lost hope that he would ever face justice. Many critics questioned why this case took so long to prosecute. "What that underscores here is that these courts, these international mechanisms — tribunals — will only succeed when they receive political support and political backing," says Alex Whiting, law professor at Harvard University and a former trial attorney at the tribunal. 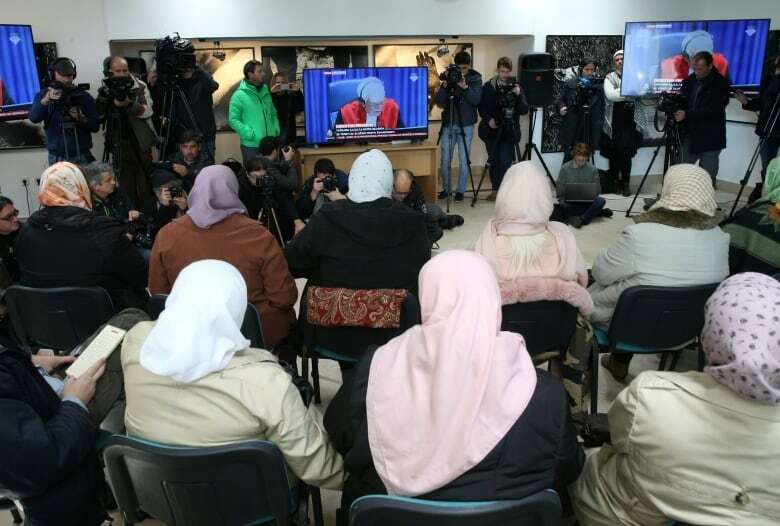 "And ultimately, this court did — both from the United States, from the European Union, ultimately from the region, despite the continued supporters of Mladic." But he calls the case "a staggering success that the court ended up with no fugitives." He compares it to other efforts to achieve justice such as in Syria, Sudan, and other countries where he says crimes have been committed. "This example is, I think, something of a beacon showing that where there is the political will, there can be success." "It's a model for other conflicts where there needs to be justice, and where that is not happening today," says Whiting. 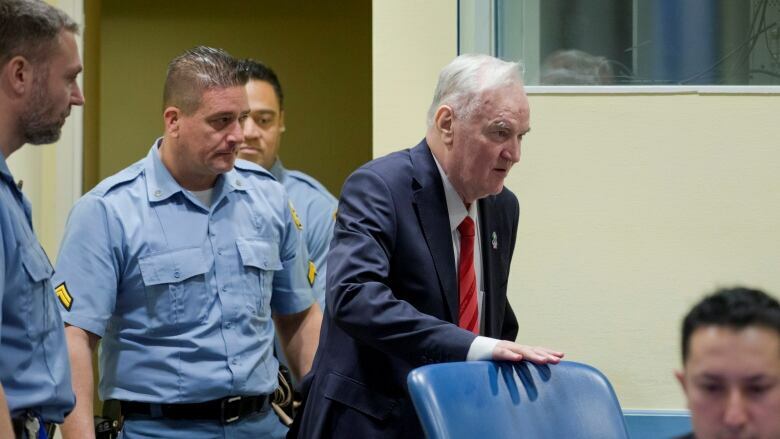 "If you watch Mladic in the courtroom today, an old man who has finally seen justice catch up with him — I think that has to be a powerful message to those who are responsible for atrocities that have occurred in the past years or that are occurring now." There will be setbacks, according to Whiting, but what the verdict shows "is that where there is the political will, justice can be achieved." This segment was produced by The Current's Amra Pasic. Mugabe resigns: What's next for Zimbabwe?